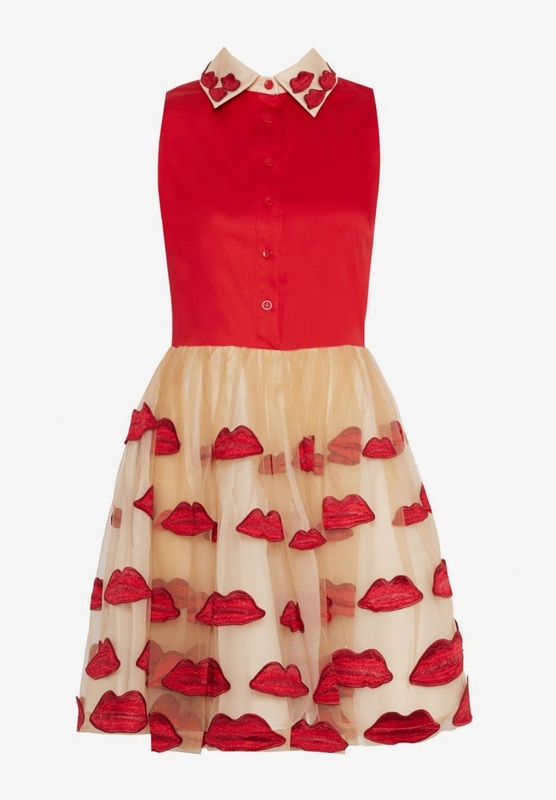 Lately I've been loving whimsical prints featuring lips, thanks to the above Alice + Olivia piece! As much as I love it, it's too bold for me and it's also sold out. 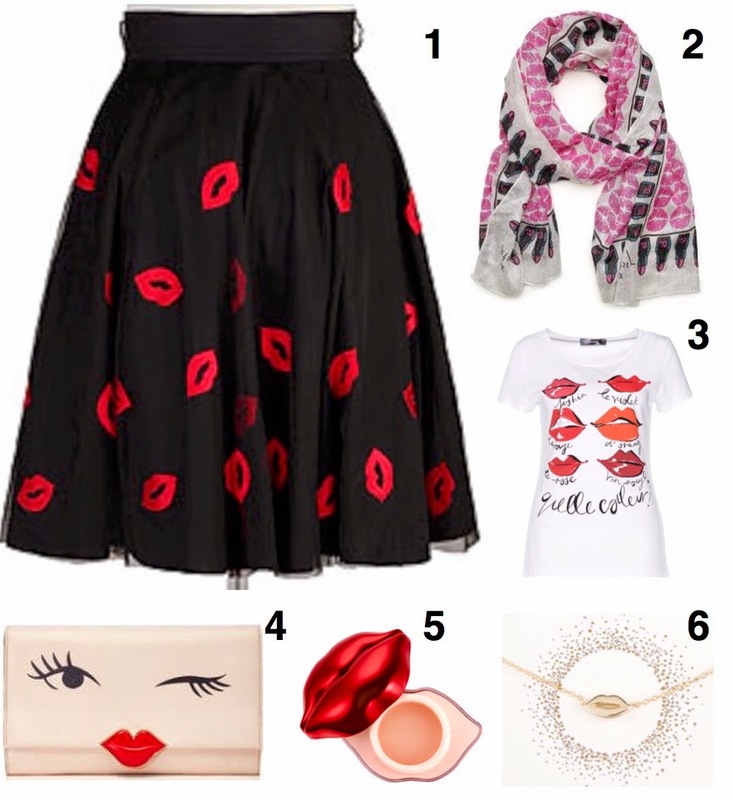 I've found some tamer pieces that can be incorporated into everyday outfits, or as part of Valentine's Day! I have to say, I'm in love with all of Kate Spade's newest pieces, especially that clutch. It's such a fun piece that can be used beyond February! That graphic tee is also another piece that I can see myself wearing-I've been wanting to add some tees as I love pairing them with skirts. I'm also loving the simplicity of that necklace - it's perfect for wearing along or layering. And I'm loving layering these types of necklaces to create a bolder look! Thanks for following along for another two post Sunday! Hope you all have a great week!